Rag & Bone Bindery has something for everyone this holiday season. All of their creations are well-designed and beautiful. Although it wasn't easy I narrowed their fab selection down to my 2 top gift picks from Rag & Bone Bindery. I absolutely LOVE their Twelve Wishes for Baby. The handmade book is so cute and destined to become truly treasured by the recipient (especially after they can read). This unique book has 12 simple ]fill-in-the blank pages that give you the perfect ideas for memorable & meaningful notes to a baby. For example - "My wish for you..." and "A Special Place I hope you'll visit.." I love the idea of having different family members fill out the various pages. It also has spots to add your photos and to list your 5 simple rules/advice for beginning life's journey. It is a touching gift. I would give it to a new mom, expectant mother, or create one for your new baby. Trust me - they will appreciate it later! 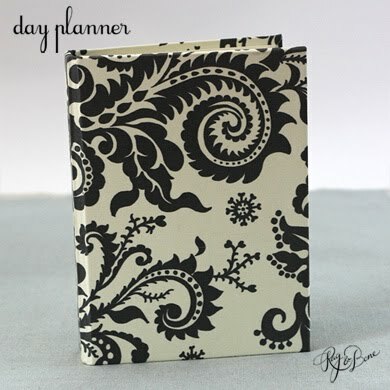 My second top pick is the Day Planner. It is so far from the boring leather planner. It looks chic and sophisticated. There are so many cover options and I can't find a single one that isn't gorgeous! 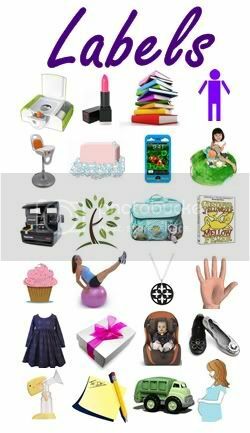 It's a beautiful way to stay organized and a calendar I am more than happy to pull out of my handbag. You can also customize the planner to your own needs by picking out some of their add-ons. 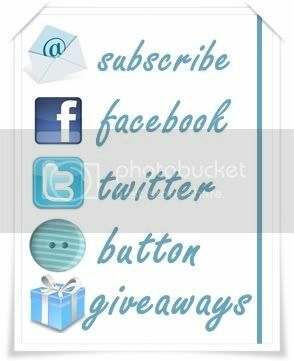 They have business card pages, blank tabs, daily expense pages, to-do pages, and even a clear zip envelope. 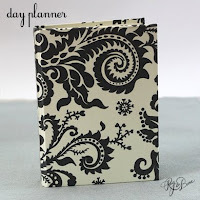 I love the simple elegance of this handmade planner and I have a feeling most woman would too! Wrap it up: If you are buying the day planner - try packaging it with a nice set of pretty pens. Their is just something about a new planner that makes you so eager to write! 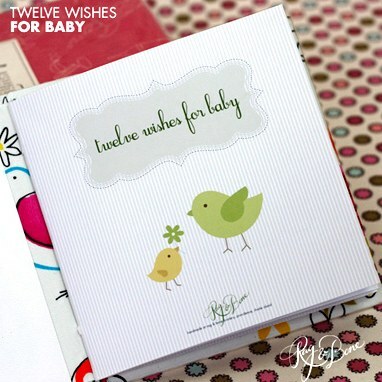 As for the 12 Wishes for Baby, your words inside are plenty! On my 12th birthday, my grandpa slipped me a $50 bill and said "don't tell your mom." I was saving up to buy a 10 speed bike. On the day I got it, I rode to their house to show him. He was so happy for me. He died 3 days later. It meant so much that he got to see me with what he helped pay for! Such a hard question! I have so many favorites, but one of them is the Halloween party we had in Kindergarten. I was Raggedy Ann and it was so much fun. The place I went to school had huge horse chestnut trees outside and I remember being awed by leaves that were bigger than my head. I wish I could revisit that memory. Building my first sandcastle on the beach! I have a lot of nice memories. I cannot pick a favorite. I do remember that my brother and I would go out exploring and I always loved that. we had a creek in our back yard. One of my favorite memories is loading up Grandpa's big Suburban and my parents taking all of us kids plus friends or cousins to Six Flags Great America. We did that a few times. Vacations to the beach. Every summer our entire family would go and it was always so much fun. i loved christmas as a kid. everyone was in a good mood and there was a tangible excitement in the air. it's still my favorite time of year. My favorite childhood memory is my dad coming home with our first color tv. It was one of those plastic things you stick on the screen of your black and white tv with blue on top for sky and green on the bottom for grass that turned it into color. We all sat on the couch watching a great movie in glorious color.It is one of those memories that we still laugh about today. Thank you! Mine is spending summers at La Push Ocean Resort. Thanks for the chance. My favorite memory is baking a cake with my sister for my dad's birthday. We messed up, and it was completely inedible, but we had so much fun trying. My favorite childhood memory is going to the waterpark every summer for my sister's birthday. My favorite child memory is family vacation trips :) *Thanks* for the giveaway! My favorite childhood memory is going to get shave ice on a hot day! My favorite memory is going to the beach and eating ice cream and dots candies. In kindergarten we put on The Sound Of Music and I got to be Gretel and it was so fun! Plus, for all the time leading up to it my whole family helped me practice singing the songs!